If you’ve lost all the keys to your Nissan, we can make new keys for you. And it doesn’t really matter what type of Nissan you drive, be it a Patrol, Pulsar, Micra, Pathfinder, Maxima, Murano, Navara, X-Trail, Skyline or any other model of Nissan, our team at Emergency Locksmith Adelaide is up to the task, and with our mobile service, we’re happy to come to you wherever you are! If you desire a Remote for your Nissan vehicle, we are able to supply you with Genuine Nissan Remote Keys and Remotes. However, if you’d prefer our aftermarket keys with a stylish flip that will surely make your friends and family envious, we can also make them for you. 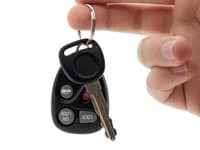 Getting genuine keys from a local Nissan Dealership can be extremely expensive, so our Aftermarket keys are your best bet if you are looking at saving a significant amount of money. To get a price quote or to simply book an appointment, please fill the enquiry form with all the relevant details (including your VIN), and you’ll receive an instant Quote.